Which of the following best describes your purpose of registration on Doljabi.com? === Select from Below ===I'm Planning an upcoming Doljanchi Ceremony / Doljabi.I've recently prepared a Dol, 1st Birthday for my child. I'm here to help the community!I'm not a vendor, but I just want to sell some of my Dol related products I no longer need.I regularly sell Doljanchi and Doljabi Products and/or Services.None of the above. Let me compare and choose on my own. Based on your selection, we recommend that you register as a Member. The most likely candidates to register on our site as a Member are parents of almost 1 year old children. These members are usually preparing for Doljanchi or just looking to add a simple Doljabi game to a more conventional birthday party. However, we encourage all other visitors (not in the business of selling products or services related to Doljanchi and Doljabi) to join us as a Member for some fun, or as a way to help close families or friends plan their children’s Dol Party. List your types of Doljanchi or Doljabi products or services you are searching for. Interact with other Members via Private Messaging or Public Posting. Ask questions on Public Forums on anything related to Doljanchi, Doljabi, 100 day celebration and ideas. Search Vendors and exchange private messages with any vendor. Bookmark Vendors for easy followup. Review Vendors for their products and services. Sell some of your Dol Products and Supplies in our Marketplace after you are done with them. Based on your selection, we recommend that you register as a Vendor. Whether you have established a business with a storefront location, or just selling online, registering as a vendor on Doljabi.com helps your brand reach a wider audience. 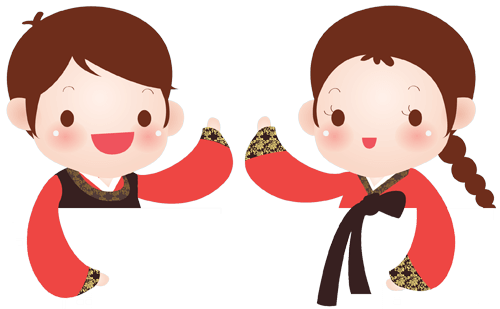 Common Services provided by vendors: Photography, Hanbok Rental, Hair & Makeup, Venue, etc. Common Products sold by vendors: Doljabi Boards and related crafts, Invitation and Thank you Cards, Dol Towers, etc. Be searchable to members looking for vendors to plan their baby’s 1st Birthday Party. List your types of Doljanchi or Doljabi products or services offered by you for easy search of your business in our vendor directory. Sell your Dol related products on our Doljabi Marketplace and pay 0% in Commissions, and no listing fees. Contribute to Public Forums on anything related to Doljanchi, Doljabi, 100 day celebration, etc. The more you contribute, the higher your search rankings in our directory. Maintain a 5 Star Review System of your business to increase the credibility of products and services offered by you. Doljabi.com community has just been launched and we’re actively listening to feedbacks and suggestions to provide the best possible user experience. We cannot yet predict how our business model will work in the future with respect to vendors. However, for a limited time only, we welcome all vendors to register at no cost guaranteed for lifetime, or as long as the account is active. Please review and see which registration option works for you. Perhaps the other two options didn’t suit your situation. However, our registration is open to anyone and everyone interested in what our Doljabi community is about. Please review the details and choose what works for you.